As promised, here are the rest of my finds from Sunday (you can see my other little vintage bottles here). 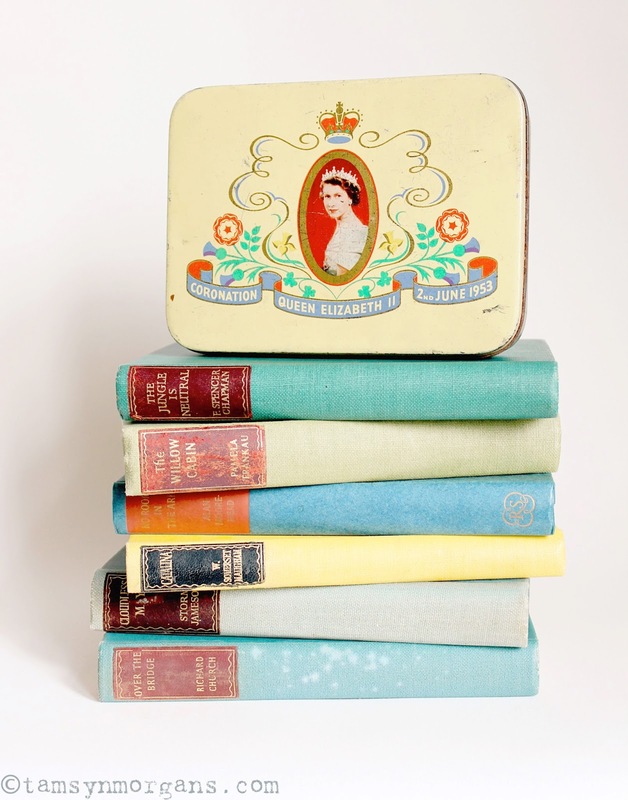 As you know, I can’t resist books, and these colourful editions caught my eye. 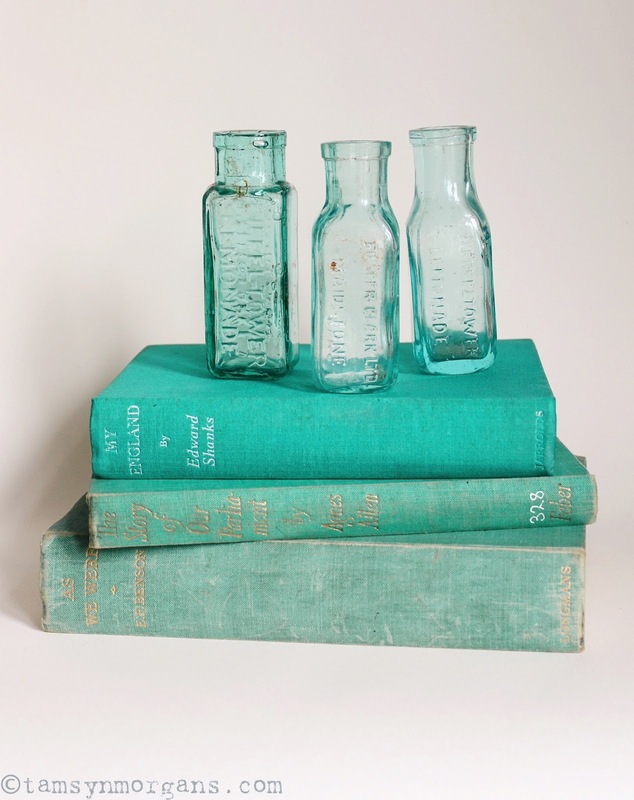 I especially love the turquoise books, I’m so drawn to that colour at the moment! The vintage pressed glass vase was £1.50, and it has my silk peonies in it here, but I’m looking forward to filling it with vibrant blooms in the summer – dahlia especially! 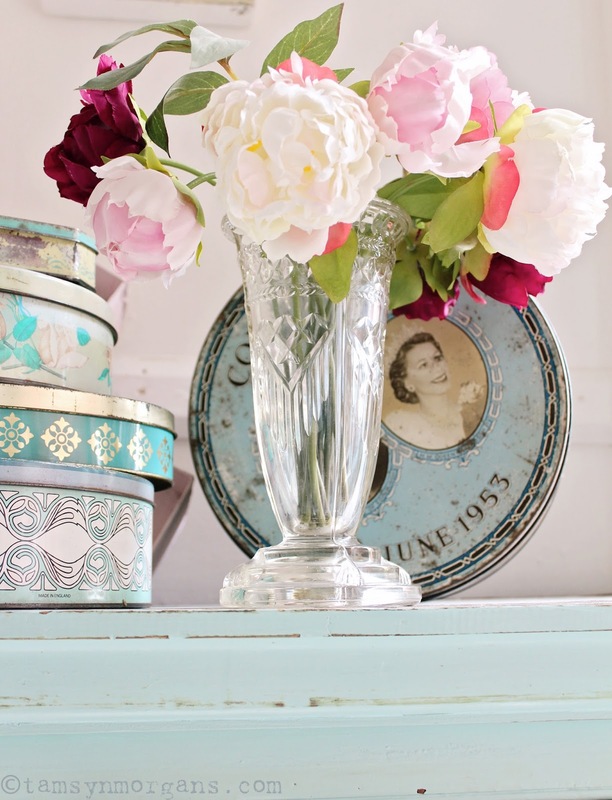 You make me want to spruce up my book shelves! Great finds.